Features: A young woman, a distinguished matron or a tousled old hag. The Banshee is usually seen as an omen and messenger of death. Originally her cries were reserved for five major Irish families but with intermarriage the list has grown. She is usually seen wearing a worn grey or white hooded cloak or grave robe, her hair frequently being long and light in color. Although she is not always seen, her cries can always be heard at night when someone is about to die. She is said to also be able to transform into animals associated with witchcraft such as a crow, hare and weasel. If several of them appeared at once it meant that someone great or holy was to die. Hearing the eerie wales of this mythical creature was never very good news. 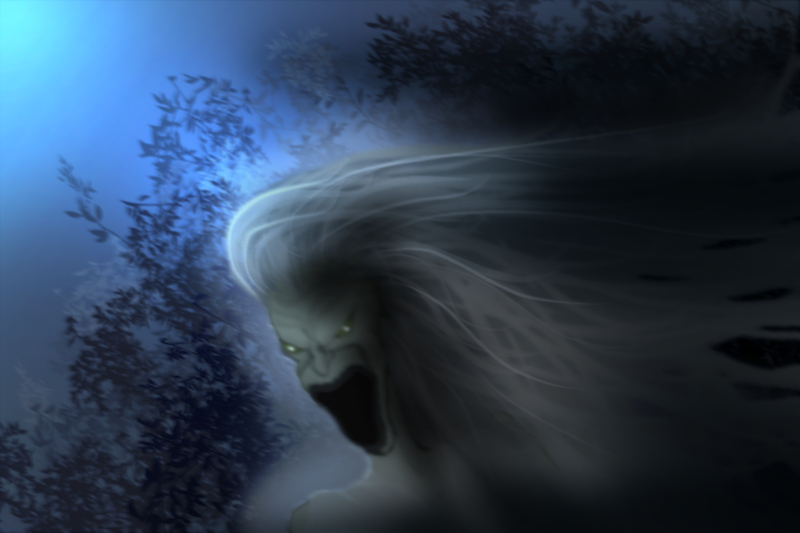 In Slavic folklore, the Drekavac is also a creature whose screams are said to announce death. Since the Drekavac is part canine his lamenting sounds like the cries one can already hear when wandering in the wild forests. This may have added a little more reality to the tales these parents told their children to scare them from running away into the woods. Have A Great Story About These Wailing Women? Do you have a great story about these wailing women of the forest? Did you hear tales as a child about these frightening crying maidens? Did it make you too frightened to venture into your local wooded areas and hike on the trails? Please share your stories - we would really enjoy any of your childhood tales.